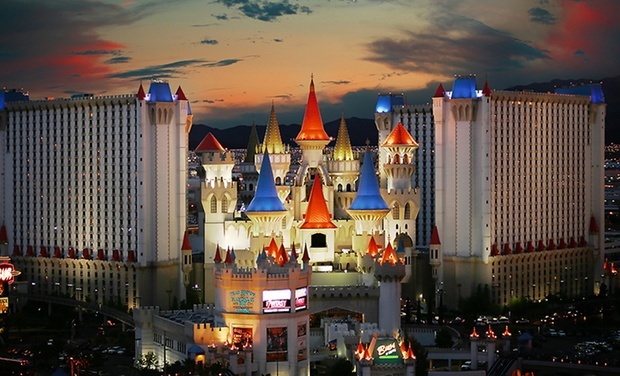 Located at the southern end of the Las Vegas Strip and close to McCarran Airport, castle-shaped Excalibur Hotel Casino features royal accommodations and a traditional action-packed medieval dinner show. 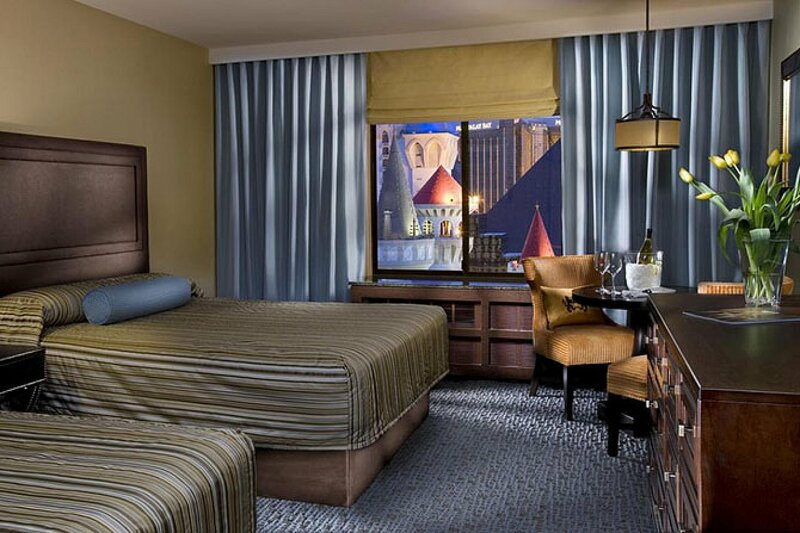 Excalibur Hotel Casino features a sparkling new pool area, as well as 15 restaurants. At night, Australia's all-male strip revue, Thunder from Down Under, takes the stage. Excalibur's medieval-themed guestrooms feature wall tapestries and carved headboards. Amenities include dining sets, stall showers, and TVs with pay movies, premium channels, and Internet access.